Sonic Lost World Trailer - A New Hope? Sonic Lost World, the Wii U and Nintendo 3DS exclusive Sonic game, finally has a first trailer, and I just feel like we've been here a million times now. SEGA releases an awesome trailer which shows that they have still a pretty decent idea of how to make a Sonic game, but they just can't wait to pull the rug out from under our feet. This trailer is awesome. It's fast, fluid, and it channels the classic series far better than any other game in the past decade has. The obvious 3D effects look a little out of place, but by and large, it looks like a fun game with an excellent blend of new and old. And yet, I'm still skeptical because the first trailer for any Sonic game is always awesome. Once we finally get excited seeing the classic gameplay is making a comeback, SEGA drops a trailer that shows exactly why this game will be terrible. Sonic swings a sword around. Sonic has some friend who is a green duck. Sonic becomes a werewolf-thing. Sonic rides a hover-board. Sonic romances a cute young girl. I beg you, SEGA! You have a chance for a fresh start with the exclusive Nintendo deal. Learn from your past mistakes and realize that simple is better. We don't need pointless gimmicks. Just speed and precision platforming. 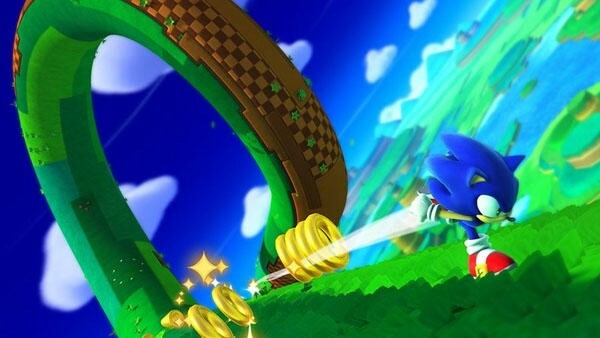 Sonic Lost World is being developed by Team Sonic exclusively for the Wii U and Nintendo 3DS.